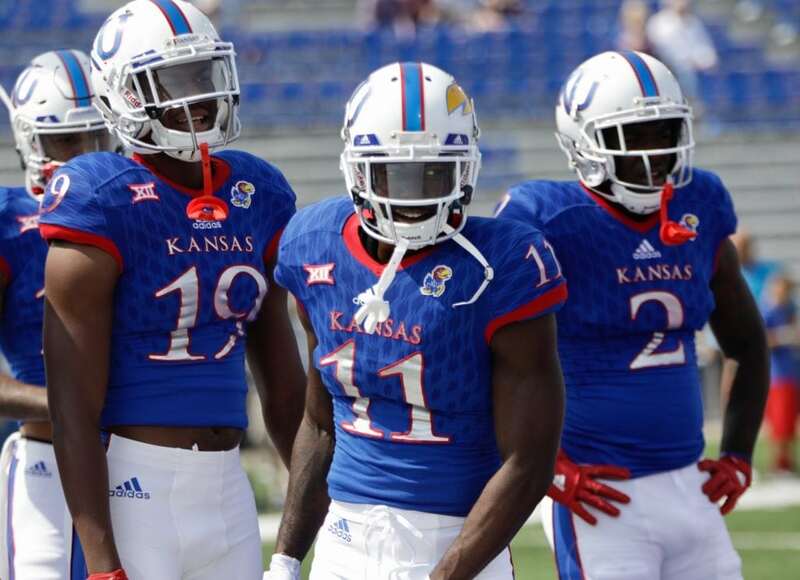 Kansas junior receiver Steven Sims Jr., center, cracks a smile in pre-game warmups prior to Saturday's game against Central Michigan at Memorial Stadium. 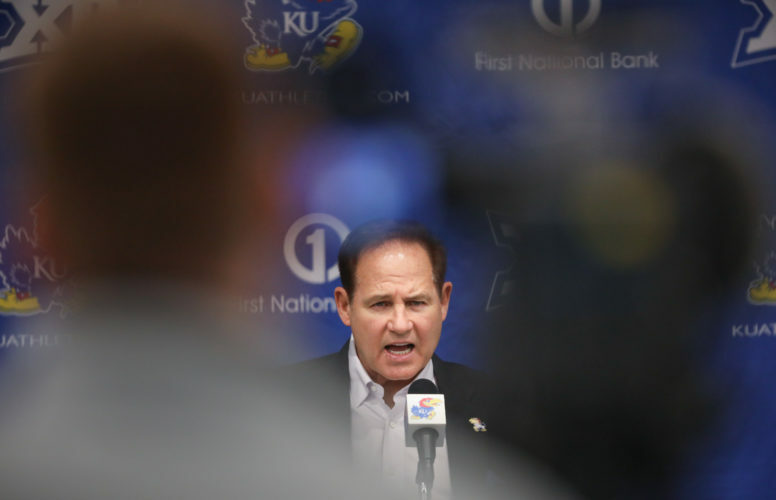 Signing day always makes ever-energetic Kansas football coach David Beaty percolate faster and louder than ever. Beaty loves talking about the fruits of the staff’s recruiting. So far, his best two recruits came from his first class. Back on Feb. 4, 2015, Beaty sounded especially excited about a pair of high school prospects from Houston. 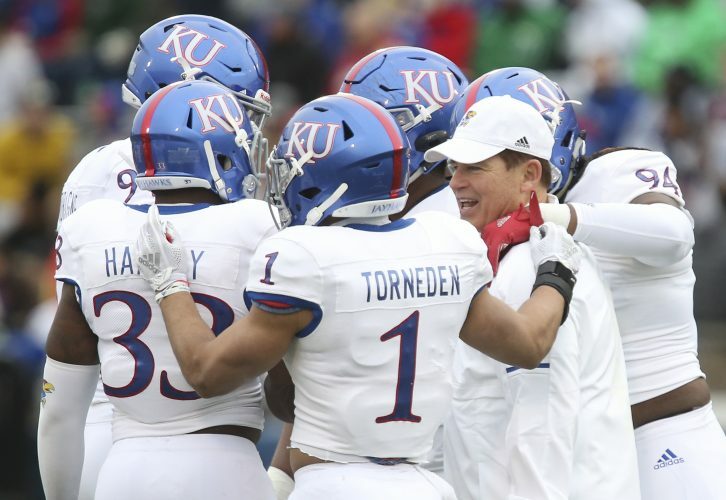 Defensive end Dorance Armstrong, chosen in the fourth round by the Dallas Cowboys, and Steven Sims, KU’s leading receiver the past two seasons, justified Beaty’s optimistic forecasts for them. Enough time has passed to assess Beaty’s first of four classes. 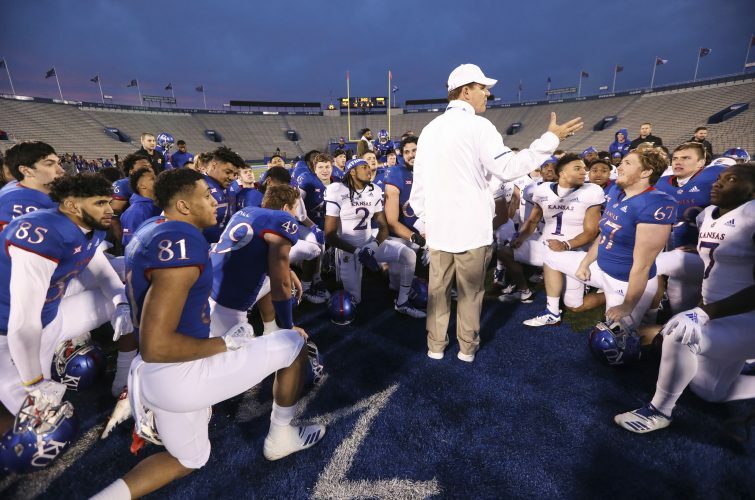 His first recruiting decision centered on whether to build for the future the way Baylor’s current coach, Matt Rhule, did with his first class, or take more of a Charlie Weis approach, upgrading an inadequate roster through all means. Rather than go all in on high school prospects as Rhule did, which would have guaranteed him taking early lumps, Beaty blended recruits from high school and junior college, which didn’t stave off an 0-12 debut season and 3-33 mark to date. 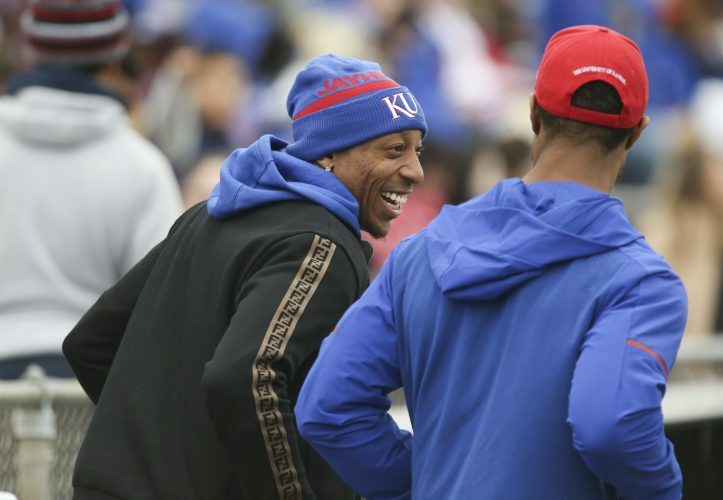 KU’s Class of 2015 featured 16 high school players and eight jucos. Just 11 of 24 players remain in the program, although in the case of Armstrong, he certainly supplied a career’s worth of production before leaving a year early for the NFL draft. 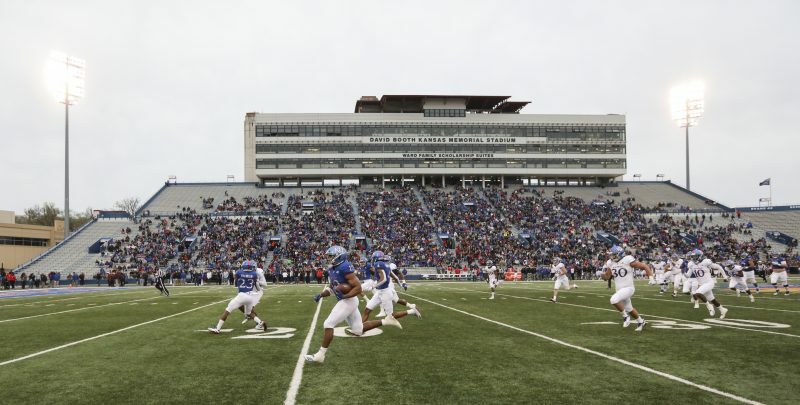 Junior college recruits D’Andre Banks, Bazie Bates, Jacky Dezir, Ke’aun Kinner, Marnez Ogletree, Jayson Rhodes, Will Smith and Brandon Stewart are out of eligibility. Five high school recruits transferred out of the program: Shola Ayinde, Aaron Garza, Chase Harrell, Jace Sternberger and Ryan Willis. Four Class of 2015 recruits project as starters: receivers Sims and Jeremiah Booker, linebacker Denzel Feaster and safety Tyrone Miller. Seven project as reserves: offensive linemen Cam Durley and Clyde McCauley, running back Taylor Martin, safeties Emmanuel Moore and Shaq Richmond, linebacker Osaze Ogbebor and quarterback Carter Stanley (still a candidate for starting job). Four high school recruits from the Class of 2016 project as starters: receiver Evan Fairs, running back Khalil Herbert, right guard Chris Hughes and nickelback Bryce Torneden. Malik Clark has a shot at left guard. Kyron Johnson, who has switched from linebacker to defensive end, and slot receiver Quan Hampton have the best chances at earning starting spots among 12 recruits from high school in the Class of 2017, and cornerback Corione Harris is the most intriguing freshman.